Welcome to Official "Running Snake" 100% NEW FREE Android Action Game! 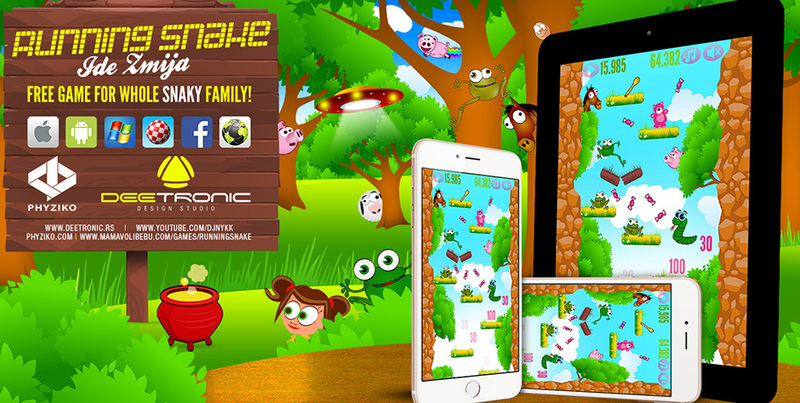 The Running Snake is the Number One Game in the World of Jumping Snake Games! Released on December the 1st, 2014! p.s. IF you hate Running Snake-like™ games - you will hate this one too! ★ How High can you Go? ★ How Far can you Jump? Ride Your Snake and Make It Fly High! ★ Endless game play. A match will never be the same twice! Copyright © 2014 - 2017 Deetronic & Phyziko. All Rights Reserved.